What's it like working at Redi-Rock? Redi-Rock is always looking for talented people to join our team. If you're looking for a fast-paced, challenging career in Northern Michigan, we'd love to talk. Whether your expertise is in marketing, engineering, sales, graphic design, R&D, video production, management, manufacturing, or something else, we'd love to hear from you. Please submit your resume and a cover letter to careers@redi-rock.com. Do you love the outdoors? 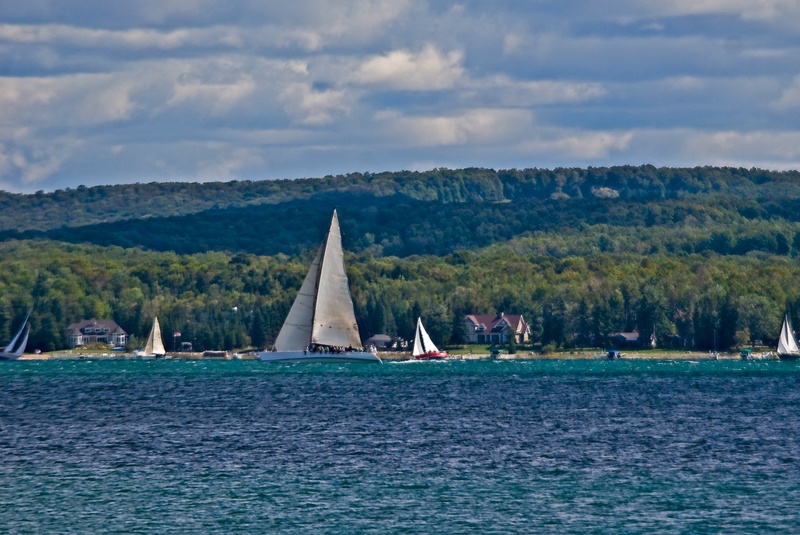 What about working 2 blocks from Lake Charlevoix? Want to be close to some of the best skiing in the Midwest? Sailing? Beaches? Hunting? Biking on a world-class trail system? Fishing? What about snow? Did we mention there's lots of snow here? What can you expect from a career at Redi-Rock? Thinking Big: Redi-Rock is a growing, innovative company that's on the cutting edge of our industry. Our team is coming up with tools, technology, and strategy that no one else is doing. We lead the pack, and we need sharp people to lead with us. Having Fun: You'll be joining a group of people who love working and laughing together. We have monthly lunch parties, and we do things like the Dirty Dog Dash at Boyne Mountain to raise money for the Wounded Warrior Project. We work hard, and we have fun doing it. Get stuff done: Although we like to dream up the future and have fun, we get a ton of work done here. So much so that we are changing entire industries. We need doers that are willing to dig in, get their hands dirty and work hard. A challenge: Redi-Rock is a growing, innovative company that's on the cutting edge of our industry. Our team is coming up with tools, technology, and strategy that no one else is doing. We lead the pack, and we need sharp people to lead with us. Redi-Rock is an equal opportunity employer; women and minorities are encouraged to apply. "Redi-Rock International is a company with a close-knit, small company feel, yet the work we do has a global impact. I enjoy working here because I get to be part of a team of smart, genuinely nice people who make it fun to come to work every day. Plus, my job involves a diverse range of tasks that challenge me and allow me to learn new things on a regular basis." In 2015, Redi-Rock was named one of Michigan's 50 Companies to Watch, which is a major honor! Our president, Ben Manthei, was honored in Lansing by Governor Snyder. You can also hear our General Manager, Jake Manthei, talk on the radio about what makes Redi-Rock tick here, as well as read an interview in which Jake discusses company culture at Redi-Rock!